Use promo code NEWYEARFLY to book flights through Paytm and bag cashback of up to Rs 2,019. 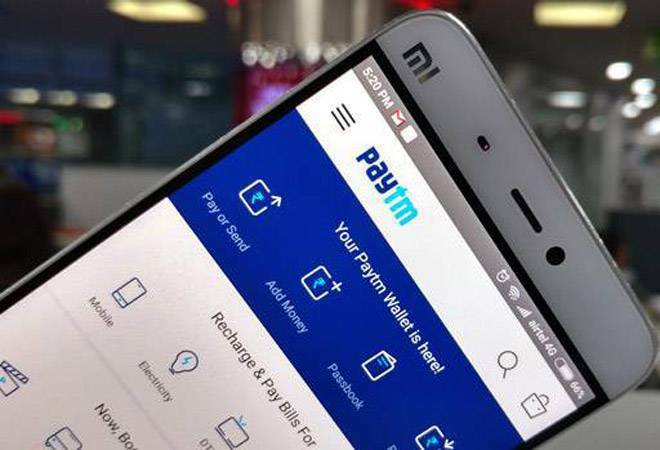 Paytm, India's largest digital financial services provider, has a new promotion for travellers this New Year. Apply the promo code 'NEWYEARFLY' while booking flights on the Paytm website or through the app to enjoy a cashback of Rs 150 to Rs 2,019, depending on the transaction value. According to the company, there is no minimum order value on flight ticket bookings and the cashback will be credited within 24 hours of a successful transaction. The offer is only valid for one-time usage per user. The fine print on the promotion also makes it clear that only users with a verified mobile number on Paytm can avail of the promo code. Moreover, the company added that "if you have not completed your KYC or have breached your monthly wallet limit, you will receive Goldback (inclusive of 3% GST)". In October 2017, the RBI had directed all prepaid payment instruments (PPIs) or mobile wallets to capture all information required under the know-your-customer (KYC) guidelines and the deadline for this is end-February. For the customers who are yet to complete the KYC formalities, Paytm has been offering cashback as equivalent "Digital Gold" of the same amount. According to the company, users can then choose to either sell the gold so accumulated at market prices and get the money credited directly to their bank accounts or redeem it "in the form of gold coins/minted products". Note that the cashback calculation will exclude convenience fees from the total booking amount. 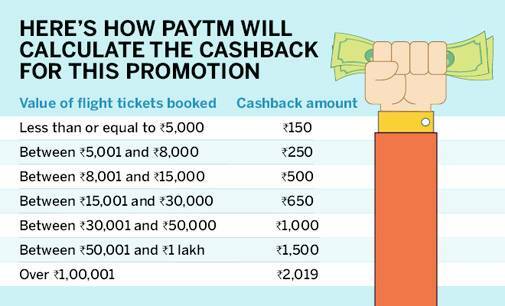 In addition, Paytm has another ongoing promotion, WINTERFLY, which offers 4 per cent cashback up to Rs 5,000 for flight ticket bookings. The offer is applicable till the end of the month and a single user can avail of it five times. These promotions come at a time the Noida-based company is aggressively trying to grow its online travel booking business. Since FY17, Paytm Travel has reportedly managed to triple its user base to around 13 million customers.